It should come as no surprise to regular readers of this blog that even in winter, I love eating ice cream. Who doesn’t, amirite? Well after reading my friend Robyn’s post about the sundaes at Dessert Club, ChikaLicious (not to be confused with ChikaLicious Dessert Bar, across the street), I made a mental note to visit the place. 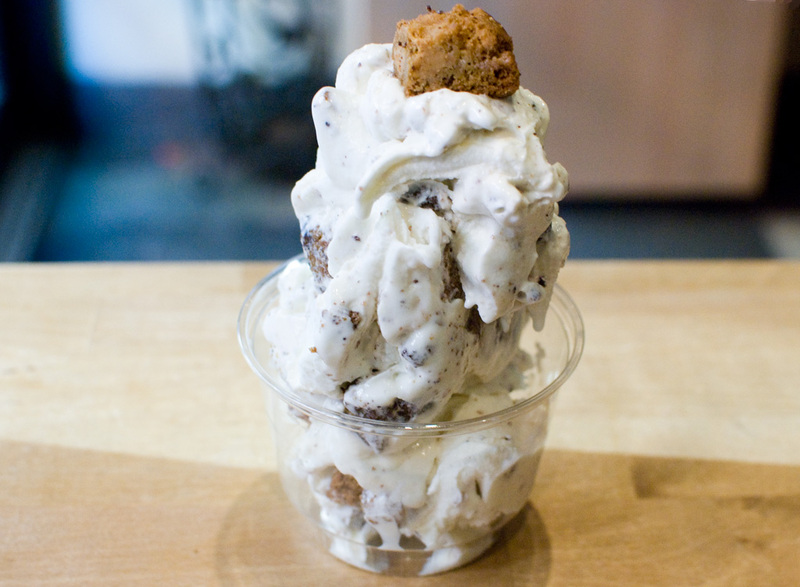 I found myself in the East Village right before New Year’s, and I made it my business to try the Cookies & Cream sundae: vanilla bean soft serve with huge chunks of freshly baked cookies spread throughout. Yes, it was as good as it sounds.